It was a curious year for PR agencies as some were bolstered by notable revenue growth while others struggled to maintain 2011's momentum. The final paragraph of last May's Agency Business Report feature proved somewhat ironic. Harris Diamond, then CEO of Weber Shandwick and IPG's Constituency Management Group, which houses most of its communications firms, said there had never been a more exciting time to work in PR. "There are more opportunities in our business than there have ever been," he added ("The dawn of the $1bn agency," PRWeek, May 2012). Six months later, Diamond hot-footed across the Interpublic network to become chairman and CEO of advertising agency McCann Worldgroup. It may be a tribute to the profession that a PR agency CEO should be elevated to the top job at such a legendary ad firm, but it slightly undermined his line about the excitement of working in PR. It was a sign of increased convergence among marketing disciplines. You can already see Diamond's influence in the way McCann and its IPG partners are pursuing more integrated work on a "Team IPG" basis than previously. 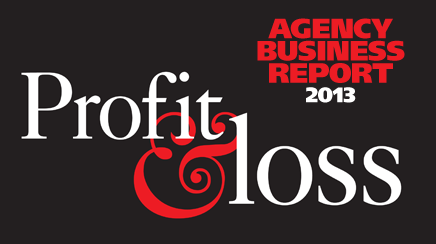 But it also reflected a curious year for agencies plying their trade in PR. On the one hand, the industry has never been in better shape, as an enhanced recognition of the power of communications within the C-suite, social media, integration, increased access to marketing budgets, and awareness of the importance of reputation fuel demand for smart communications and marketing counsel. This is certainly reflected in the 2012 US revenue performance of midsize firms such as Global Strategy Group (up 62%), Zeno Group (up 48%), Gibbs & Soell (up 40%), French | West | Vaughan (up 29%), Allison+Partners (up 27%), and W20 Group (up 26%). But big holding company figures tell a different story. At WPP, which owns Burson-Marsteller, Hill+Knowlton Strategies, Ogilvy PR, and Cohn & Wolfe, global PR and public affairs numbers were down 1% in 2012 year over year, compared to a rise of 4.6% the previous year. Omnicom, owner of Fleishman-Hillard, Ketchum, and Porter Novelli, did better, posting organic global revenue growth of 3.3% on 2011, half as much as the network's ad agencies in the same period, but up from its 1.9% performance in the previous 12 months. IPG, which owns Weber Shandwick, GolinHarris, and DeVries Global, performed best, increasing organic global PR revenue 4.8% in 2012, still less than half the 9.8% achieved the prior year. The fourth-largest holding company, Publicis, does not split out PR revenue. Meanwhile, Edelman, the industry's largest player but still independent, achieved year-over-year organic global growth of 8.3%, impressive expansion compared to the holding companies, but well down on 2011's 14%. In the past, Omnicom agencies attributed the network's sketchy performance to the bundling of poor-performing ad agency PR operations into overall PR figures. But Porter Novelli CFO Patrick Resk, formerly VP of finance/operations for Diversified Agency Services, the Omnicom arm that houses its PR firms, refutes this: "There are some pieces of PR that sit within advertising that get carved out, but it's not material," he says. "The bottom line is Fleishman, Ketchum, and Porter make up most of it." Rob Flaherty, CEO of Ketchum, blames the global imperative of a major holding company firm. "We have several units that, if each were publicly traded, would be high growth. Ketchum Change, Zócalo Group, and Capstrat are all up double digits," he says. "Growth among major firms is a composite of offices way up and growing fast, balanced with offices in slow-growth economies such as Southern Europe." For Flaherty, these are the table stakes for doing global business: "Those economies will return to growth. In the meantime, clients need us in major markets and we're committed to being there." Bob Pearson, president of W20 Group, says, "We look at global differently to our big peers. Ten languages reach 82% of people online, so we're building language, cultural fluency, and industry expertise in those 10 languages." He believes digital has changed the game and smaller firms can build momentum before they establish local offices and use pre-existing partnerships through global agency networks such as Public Relations Organisation International (PROI), of which W20 is a member. "The idea you need an office everywhere is from the ‘70s, ‘80s, or ‘90s," says Pearson. "Clients eventually want local service, but if they're smart they want the best firm. The future is putting people in a city like London and being the best there. But you can't be best in every city. Elsewhere we want the best partner and we do that through PROI." Pearson believes most global clients want around a dozen countries covered in depth and that can be done through affiliates. He cites W20's BMC Software account win as an example of this. "Building in-house global scale with the right talent can come later," he adds. One trend in 2012 was significant turnover at the top and upper levels of agency management. Renee Wilson took over from Jim Tsokanos as president of Publicis-owned MSLGroup's North American operations; Karen van Bergen became global CEO of Omnicom's Porter Novelli following the departure of CEO Gary Stockman at the end of July; Don Baer assumed the top role at Burson-Marsteller when incumbent global CEO Mark Penn resigned, also in July, to take a senior role at Microsoft. Susan Gilchrist was named group CEO of Brunswick last May, promoted from US managing partner. Andy Polansky assumed the top role at Weber after Diamond left, and Flaherty became Ketchum CEO as Ray Kotcher was elevated to chairman, also in a planned succession. Beneath the top level a merry-go-round of senior personnel at high-ranking agencies engaged in a game of musical chairs. As one agency CEO says, "Of the top firms, half are in management disarray, with units falling apart and senior movements. How many of them have a distraction-free environment?" Scott Allison, CEO of Allison+Partners, identifies one P&L structure favored by midsize agencies such as his as another point of difference over holding-company firms. "Everything is driven by what's best for the client, versus someone worrying about their own revenue," he says. "If a client needs digital or crisis expertise it's seamless, rather than getting snagged in a P&L window where one office wants to defend the work and budget." Allison, whose agency achieved revenues of $23 million in 2012, explains, "We have a global presence, but there's an intimacy of working with senior people that clients like. If you have a problem, you can pick up the phone and call me. Outside of Richard [Edelman], there are not too many folks who deliver on that." Porter Novelli's van Bergen defends the network method, especially as big clients demand a one-stop-shop approach, collaboration, and integration. "There is so much to gain from professional development opportunities and so many great Omnicom companies, each with their own specialization," she says. "Why reinvent the wheel and be half as good as your expert friend from a sister agency?" Either way, Diamond's replacement, Weber's new CEO Andy Polansky, is as positive about the future as his erstwhile boss. "The business opportunity is big," he says. "There is more linkage between corporate reputation, public policy, and marketing – and agencies with that mix will thrive. But you've got to come to the table with big ideas every day."